Imagine what your life will be like when you can live every moment of it as your truest self . . . Confident in your abilities . . . Happy and content . . .
Everything will make sense and you’ll know exactly what to do, no matter what challenge you have to face. You’ll feel a deep sense of belonging and connection with the world and the people around you. And good things will just seem to happen in your life, without you having to strive or struggle . . . Almost as if the Universe is looking out for you, nudging opportunities in your direction. You’ve probably experienced moments in your life when you felt that clear and certain and blessed, but if you’re like most people, those moments never last very long, and you can’t simply make them happen. And it can be devastating to feel that deep connection and centeredness in those isolated moments, only to lose it time and time again and have no idea how to get it back. But I want you to realize that this is something nearly everyone experiences—not because we’re weak or unworthy, but because we were never taught how to stay connected to that truest part of ourselves, how to live from our souls. Well, I want you to know that I’ve created a simple, 3-step process that will help you discover the true agenda of your soul and show you how to move through your life in a state of effortless, authentic purpose and joy—and not just once in a while, but in every moment you live. Why is it so difficult to live as your truest self? With the state our world is in right now, many people feel uncertain about their lives and where they’re headed. And to make matters worse, many are also less and less able to connect to that deeper part of themselves . . . It can often seem as if you’re just going through the motions, doing whatever you have to do to get through the day. Do you ever feel . . .
Misunderstood or unappreciated by your co-workers, family or friends? A longing to find the right relationship or a deeper level of intimacy with your current partner, but something always seems to keep it out of reach? Unable to fully be yourself in your job because your co-workers don’t share your values or vision? That your gifts and talents are under-expressed or still hidden inside you? Disengaged from life, with a chronic low-grade depression regardless of what you do to try to lift your spirits? That you aren’t experiencing a rich spiritual life, in spite of having invested in many years of personal and spiritual growth? Alone even when you’re with others or participating in community activities, despite trying to connect with people? A longing to “run away” from your life, move to a different town and “start over,” without all the baggage and difficult memories? Billions of people since the dawn of civilization have felt the same frustrations about life you’re feeling right now. And the reason is simple: we’ve all been trying to solve the wrong problems and focusing too much of our attention on things that will never make us feel happy and fulfilled. We’ve been trying to get the better job, the better partner, the better lifestyle, the better town, all of it . . . without realizing that those things in and of themselves simply don’t matter when it comes to creating a life that is the full expression of your truest self. When you live as that expression, every aspect of your life will naturally come to reflect what you most care about and are drawn to, in wonderfully fulfilling ways. And when you align your day-to-day actions with your soul, life will provide you with everything you could possibly want . . . and, even more importantly, everything you need. What if you could go through each day with that calm confidence, clear about what to do in every situation that arises? For instance, what if you could go to your job as your truest self? How different would it be if your confidence and skill were unshakeable and you could talk to your co-workers freely from your heart and your soul, without being afraid in any way or needing to play any of the usual social games? Imagine going to the store or to an event and being able to be that authentic when you interact with people you’ve never met before. Or spending time with friends or family as your most open and genuine self. Even just walking alone through the park in that state of centeredness and calm. When you’re living as your truest self, you’ll be able to . . .
You’ll also infect everyone who comes near you with a sudden sense of joy and aliveness. And when they want to know the secret of how you got to be the way you are . . . you’ll be able to share it with them. Living in this way is a truly wonderful and magical thing, and I should know, because that’s how my life is and has been ever since I discovered this extraordinary secret for myself. And as soon as you know how to use it, that same simple secret will help you discover the agenda of your soul and completely transform your life until it becomes the extraordinary and rewarding adventure it was meant to be . . . every single day. I hope you’ll decide to join me so I can show you how to live from your soul. In this 9-Week Interactive Online Course, Neale will take you on a deep journey through his powerful 3-step process that will allow you to transform your life and start living from your soul every single day. First, you will awaken to the metaphysical and conceptual truth about the nature of your soul. Before you can live from the agenda of the soul, you need to have a clear understanding of how the soul works in harmony with your mind and body to create your Divine experience of Life. Next, you’ll learn how to connect with your soul through everyday exercises and tools, that, with practice, will strengthen the “muscles” of your soul. You’ll immediately eliminate life’s complexity when you run everything through the agenda of the soul. And finally, you’ll learn how to maintain that “aha!” sensation of connection and fulfillment so you can live from your soul most (if not all) of the time, not just in those fleeting moments that come from intention and focus, or from out of the blue. With this 3-step process, you’ll learn how to end the cycle of struggle and longing that comes from simply attending to the unquenchable desires of your body and mind, and discover instead how you can live each and every moment from the agenda of your soul. Nothing about your external circumstances can prevent you from enjoying the wonderful, life-changing benefits of becoming your truest self. Once you learn how to follow these three powerful steps, you will experience deep levels of fearlessness, happiness, and inner peace like never before. Why you may often feel that life is difficult and complicated, and how you can make a shift in consciousness that will allow life to always work with you, instead of against you. Each session will teach you, step by step, the practical tools and techniques to become who you really are so you can begin Living From Your Soul. Neale will support and guide you through each process. You will have unlimited access to recordings of all the course session (listen or watch on video from your computer, or download the mp3 files to your iPod or audio player). You will also have access to PDF transcripts of each Course Session. Immerse yourself in these powerful weekly Q&A sessions where you’ll hear Neale directly responding to questions that students have had about the teachings (listen from your computer or download the mp3 files to your iPod or audio player). To guide and support you through this transformative process, Neale has created weekly practice and reflection assignments that will empower you to become your most authentic self. PDF transcripts are a great resource to go back and quickly reference key concepts covered in the course sessions. If you prefer to follow along with a written format, you’ll love these downloadable session transcripts. To connect fully to your soul, and live from it day to day, can be a challenging affair, with many questions arising all along the way. So to get the most out of your work with Neale, you’ll not only need all he’ll provide to you in the course sessions but also the ongoing support of mentors and an enriching connection with others who are on the same path as you. When you register for the Living From Your Soul 9-Week Course, you’ll immediately become part of a vibrant community of individuals just like you who are seeking to connect with other like-minded souls. You’ll be interacting online with Neale and also with your fellow students from all around the globe through a private social network created exclusively for the participants in this course. This will be a lively “home” for you, filled with other open, inspired people, and as a part of each week’s curriculum, you’ll be given exercises for contemplation and reflection that you’re invited to share and discuss with others in your course community. Being immersed in a learning community is a powerful experience—one that is certain to support you as you learn Neale’s powerful processes for connecting to your truest self, and then growing and integrating it into every area of your life. Neale has drawn on the wisdom from his many books and his 20 years of experience as one of the most respected spiritual leaders in the world to help you to integrate the many new practices you will discover in the course. Consider the years people typically spend poring over self-help books, or paying for various kinds of therapies—often with only small degrees of success. Many spend thousands of dollars in their quest for the kind of transformation this course will deliver to you in only 9 weeks. Now, thanks to the modern world of online learning, and to Evolving Wisdom, the company producing the Living From Your Soul 9-Week Online Course, we’re able to offer the entire course at a price we hope will make it affordable for everyone. And the best part is that you’ll be able to fully participate in every aspect of the course right from the comfort of your own home! And in addition you’ll also receive this exclusive set of faculty seminars with three of the most respected spiritual teachers in the world, who also happen to be Neale’s friends. After a ten-year spiral into depression, rage, and self-loathing, Katie woke up one morning in a state of joy that has never left her. She realized that when she believed her stressful thoughts, she suffered, but when she questioned them, she didn’t. Through her simple yet powerful process of self-inquiry, called “The Work,” she has shown people around the world how to live in a state of clarity and peace. When you begin to live from your soul, life begins to reflect your true self back to you and your life becomes fulfilling and alive in every moment. But when you are cut off from your true self, life reflects that back to you with experiences in your job, your relationships and your health that are often the opposite of what you know you want them to be. And worst of all, sometimes even your successes feel empty. In the Living From Your Soul course, you’ll do the work to return to your soul, and in this bonus seminar, Katie makes sure you stay there by helping you learn to transcend your stories and love what is provided for you in every moment. Katie will help you be brave enough to find out who are you without your story. In this audio seminar, you will . . . Learn how to do The Work, Byron Katie’s powerful process of self-inquiry, so that you’ll be able to question any stressful thought and return to yourself when you lose your way. Jean Houston wants you to know that there is a way for you to make a living out there in the world that will make you feel good, and is more in alignment with what is important to you. Now, that doesn’t mean you should quit immediately and go in search of another job, it just means that you need to find out what you are truly meant to do. And that means you need to tune in to your soul in a whole new way to get in touch with what you were born to do, and in this powerful seminar, she’s going to help you do exactly that! In this exclusive audio seminar, you will discover . . .
Dr. Jean Houston is a guiding light in the world. One of the principal founders of the Human Potential Movement, she is a tireless teacher, dynamic speaker, author, innovator and is one of the leading visionary women of our time. Jean is the founder and principal teacher of the Mystery School, dedicated to teaching and exploring the many dimensions of human potential. She is the author of Jump Time: Shaping Your Future in a World of Radical Change. Her newest book is The Wizard of Us: Transformational Lessons from Oz. An online course delivers curriculum to you on a weekly basis which gives you the control to determine your best time to do the work. 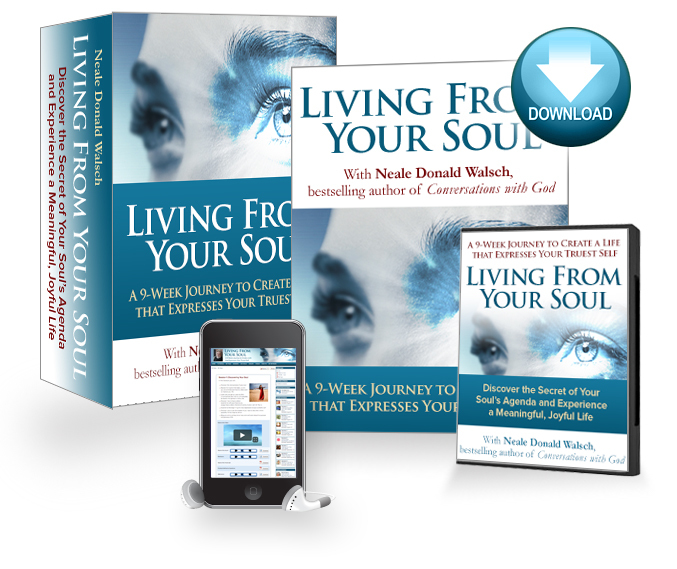 Whether your best times are mornings or evenings, you’ll be able to watch and listen to the recorded sessions with Neale Donald Walsch at your convenience. Between sessions, participants are also invited to post reflections on a special online discussion board and to interact with other participants. The only equipment you’ll need is a computer with an internet connection, and a phone or SKYPE phone line if you wish to participate in the live interactive sessions. What if I miss a session or group coaching call? Don’t worry, there will be recorded audios available for you to download from the online community forum after every session. 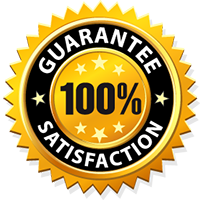 We are committed to providing the highest level of satisfaction on all of our programs and products, and fully stand behind our programs. If you find within the first 14 days of the course start date that you are not satisfied with the program for any reason, you may request and receive a full refund of your payment. you can try the course out for 14 days risk free. Neale has written 28 books on spirituality and its practical application in everyday life, including the Conversations with God series. Seven of those books reached the New York Times Bestseller List, and the first book in the series occupied that list for over two-and-a-half years. His most recent books are The Only Thing That Matters and What God Said. His books have been translated into 34 languages, selling nearly 10 million copies and touching millions of people’s lives. More Participants Share Their Experiences . . .
**All prices are noted in U.S. dollars ($) throughout the checkout process. Charges will be converted into your local currency according to the terms of your agreement with your financial institution/payment handler. livingfromyoursoul@evolvingwisdom.com and we’ll be glad to assist you.